Sleep is a coveted luxury most new parents won't be privy to for at least a few months. While bedtime routines are important in developing healthy sleep habits for babies, it takes a lot of patience and understanding to reach fully restful nights. Researchers from Penn State say baby and child sleep patterns vary for the first three years of life. Keep in mind babies won't sleep a full eight hours until about four months old. While there is a general pattern in child development, your baby is a unique individual. 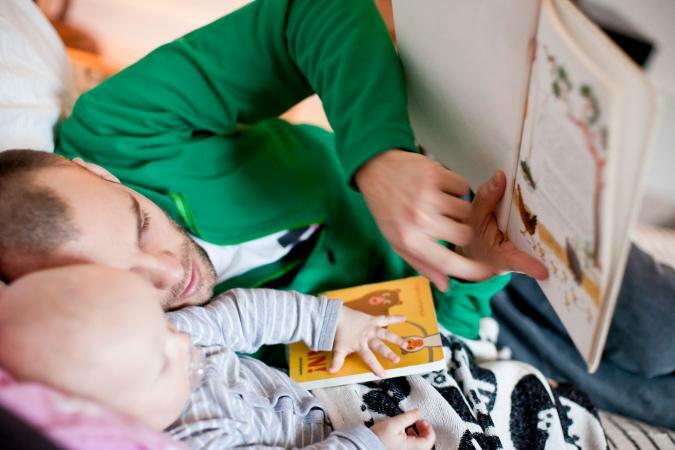 Heidi Murkoff, author of What to Expect the First Year, suggests parents wait until baby is a month old or so before entering the beginning stages of planning for a bedtime routine. Take some time to observe your baby each day and night to gauge her behaviors right before falling asleep and when her longest sleep stretches occur. Keep a simple journal or use a chart to help track these trends. 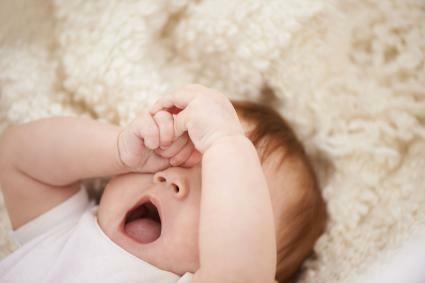 According to early childhood experts at Zero to Three, there are several common signs your infant is ready to nod off. The Sleep Lady, Licensed Certified Social Worker Kim West, emphasizes the importance of recognizing your child's tired window, or the time when they are ready to sleep. If you miss the window, babies and older children get a "second wind" and have more trouble falling and staying asleep. Like most parenting tasks, deciding what you're okay with trying and what you're not okay with before you begin the process with your child helps give you some confidence from the start. Work with your partner, if you have one, and create a plan that includes both of you. Choose a time frame for your bedtime routine that is appropriate to your baby's age. Baby Sleep Site suggests newborns and infants require routines as short as five minutes while older babies and kids might need up to 30 or 40 minutes says parenting author Heidi Minkoff. Bedtime routines are unique to each child and family. Include two or three activities, then choose one quick phrase, action, or song that will consistently signal the end of the routine. Whether you believe in the cry it out method or other common infant sleep training methods depends largely on personal preference and understanding of your baby. Not every family needs to have the same bedtime for baby. Around age two to three months, you can start a solid routine that involves a bedtime somewhere between 8 and 11 PM. At first, you'll want baby's bedtime to match yours since the longest stretch of sleep may only be about five hours. Between four and ten months, you can gradually shift baby's bedtime to an earlier time. Once you've made a plan, try it out for a week or two to see if it works. If not, make some subtle changes. Don't pressure yourself to get baby sleeping ten hour nights in a few days or falling asleep on her own the first night. Be patient, evaluate your routine along the way, and be consistent. When baby is sick, it can be difficult for you and her to keep a sleep schedule and routine. The Sleep Lady says that's okay. You should address your baby's needs immediately when she is sick regardless of your typical routine. When she gets better, you can start training with the routine again. If your child still has trouble getting to sleep, even with a calming routine, try out unusual tricks and tips like blowing gently near baby's forehead or running water nearby. Add these subtle actions into your routine to see if they can help. Baby Sleep Study adds parents and children who experience regular, consistent bedtime routines have less tension, anger, fatigue, and anxiety. Establishing a healthy bedtime routine is not only great for baby, but it helps parents get some much needed sleep. Infants are unpredictable and often times helpless, so give yourself a break and a well-deserved pat on the back for trying to create a routine, even if it's not successful at first.